MEN ON A MISSION: Nicholas Hoult, James McAvoy and Hugh Jackman. 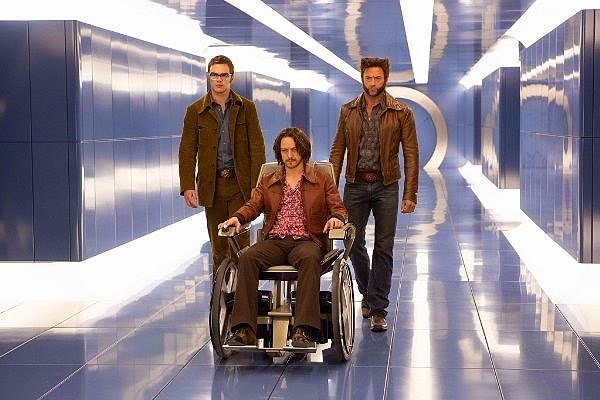 The X-Men reunite so frequently on-screen that it was only a matter of time before we journeyed with them all the way back to the beginning – 1973 to be precise. As mutant-kind is threatened with extinction due to the emergence of an invincible army of robotic sentinels devised by a nefarious scientist (Peter Dinklage) to withstand mutant powers of all kinds, Wolverine (Hugh Jackman) is teleported to the seventies to thwart the malevolent plan that would bring these bad-news bears into existence. Fast-paced and ferociously entertaining, Days of Future Past is a solid addition to the superhero blockbuster franchise, reteaming Patrick Stewart (Professor Charles Xavier), Sir Ian McKellen (Magneto), Halle Berry (Storm), Jennifer Lawrence (Mystique) and Anna Paquin (Rogue) et al, while respectfully paying homage to it fascinating flashback period. Cool bonus: the movie allows the elder statesmen (Magneto and Charles) to riff on their younger screen selves, played just as masterfully by Michael Fassbender and James McAvoy respectively.